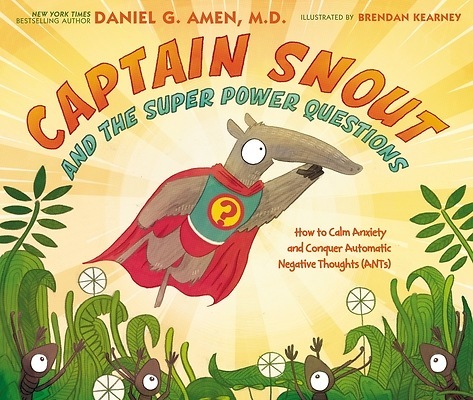 Captain Snout and the Super Power Questions; Don t Let the Ants Steal Your Happiness, written by board certified child psychologist Dr. Daniel Amen, playfully encourages children to correct their negative thinking patterns in order to live happier and healthier lives. Comical illustrations by Brendan Kearney bring the story alive as our main character, Captain Snout, reveals the super power questions that can rid us of our automatic negative thoughts (ANTs) and lead to accurate and truthful thinking. Captain Snout and the Super Power Questions has a beautiful cover decorated with foil.